When I was a child I loved to look for red birds. They were always easy to spot and seemed to be most everywhere. While the red feathers are dazzling, the spotting of red birds became fairly commonplace after awhile. At one time my mother even told me I could make a wish each time I saw a red bird. Then one day I realized I was making wishes left and right - red birds were too abundant to be rare. I didn't really even know blue birds existed until I was an adult. Sure, there are songs about bluebirds, but I thought they were mythical creatures like unicorns. Then one day I saw my first bluebird. It was so tiny, so fast and evasive. I tried to point it out to my children, but they couldn't seem to land their eyes on it. In fact, I remember now that my mother was spotting bluebirds before I was able to. Perhaps it takes adult eyes to see bluebirds. Mmmm. I began to see a bluebird or two when I would play golf at the country club we belonged to and also when I would occasionally walk at the city park. Once again they were hard to spot. And just when one would come into focus, it would quickly fly on. They certainly didn't make themselves readily available for casual observers. Only those truly looking for them would spot these flashes of glorious blue. And bluebirds are truly beautiful. The ones I spotted in Texas were delicately small and very bright blue. Somehow, just seeing one would magically lift my spirits. Indeed, I couldn't have been more enchanted had I seen that mythical unicorn! Well, by now you know that I am no birdwatcher. I love to go hiking and I do notice many birds on my adventures, but I don't know a blackbird from a crow. (Or are they the same thing?) I just happen to love sighting bluebirds. And here's why. Somewhere along the way, it began to feel that sighting a bluebird was a sort of reminder of God's wonderful blessings. Each time I would see one of these tiny blue creatures flying by I would be struck with awe by such a small, but significantly beautiful, creation of God. It would make me plum happy! I think sometimes, actually pretty often, God just wants to do something special for each of us. I believe He delights in delighting us! And I began to feel like every time I saw a tiny bluebird God was saying to my heart, "Look, Kay! Look at this beautiful little blessing I've sent your way today! What do you think?" And I began to tell God, each time he blessed me with a bluebird sighting, "You are something else! You are good!" 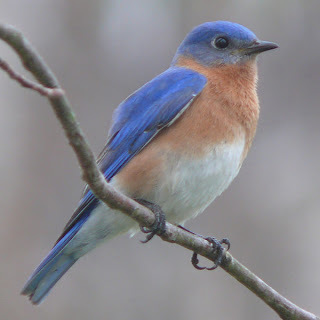 And so, I am calling my blog "Bluebird Sightings." Not because I will talk about bluebirds often or because I hope to attract other lovers of bluebirds to this blog. That really is totally insignificant to me. 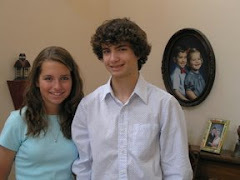 I've given my blog this apt title because I want to write about the little blessings God sends my way on ordinary days. While I may not write an entry every day, I'm sure there are blessings I could report each day. But, like sighting bluebirds, I must sometimes be very diligent to see them. So won't you join me in looking for bluebirds? No, not the bright blue flashes in the sky, but the supernatural hand of God in your common life. Let's make it a point to look for these little miracles, these gentle blessings, these tender mercies each day. And let's point them out for others to see. Maybe if we point them out often enough, they will develop sharp enough eyes to see them for themselves. I read the blog and it is great. You did a good job at putting it together. Hopefully, these internet items will open up some more doors. I pray that they will. At least it is a start. Candy sent me information about your website and blog. I was blessed to read them as they are both inspirational and uplifting. May the Lord continue to bring these 'bluebird sightings' your way. What a blessing you are to the world that holds you, especially to me. I, too, find bluebird moments in the most unlikely places, people, and events. Thank you for reminding me to look for more and to expect them joyfully.